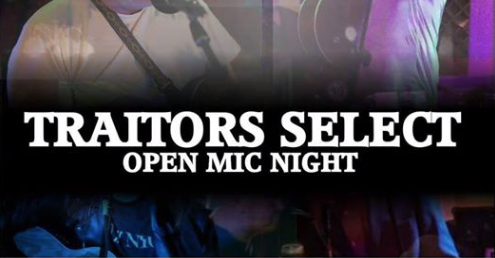 Traitors Gate annual select open-mic Foodbank special set to take place. THE annual Traitors select open-mic foodbank special takes place. All donations of food and cash will be gratefully recieved. Please come and support this worthy cause. 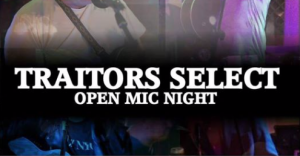 Traitors Select returns with an entire evening of open-mic. This format will feature from now on, every Thursday apart from the first Thursday of the month. Fifteen minute slots are available from 8-11.30pm. Genre or experience are not barriers to you performing. Everyone is welcome. There is a full PA, three microphones, a full drum kit (just bring your sticks), a Fender Bass amp and the ability to perform to your pre-downloaded mobile device backing tracks available to assist you. 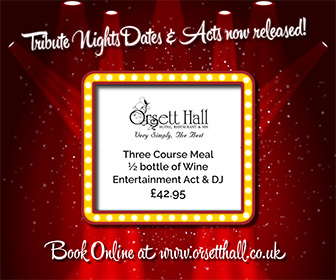 A complimentary beverage of your choice is available to all performers. If fantastic music, a welcoming and inclusive clientele, the best bar staff on the planet, fantastic locally brewed ales and ciders and free entry isn’t enough to entice you then, there’s always Eastenders.